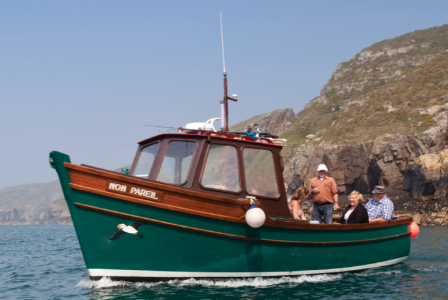 Navigating around Sark with its strong tidal streams and masses of reefs, islets and half submerged rocks is not for the faint hearted mariner. However George, like the island’s other fisherman, makes it look effortless. He skims past rocks and when the swell allows takes the boat into caves. He points out shapes in the rocks; a cat here, a camel’s head there, a pair of hands held as in prayer and profiles of Queen Victoria or Victor Hugo. 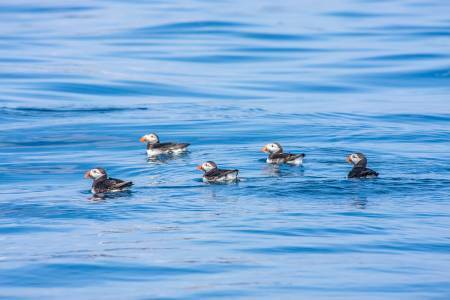 Wildlife is a passion for George and spare binoculars are left on board for visitors to admire Sark’s seabirds. Oyster-catchers, gannets, shags, gulls and fulmars can be seen all year and in spring and early summer there are puffins, razorbills and guillemots. George’s gentle approach allows him to get quite close to the birds and his sharp eyes often pick out a peregrine falcon or two. George estimates that he and Non Pareil have been around the island together about twenty thousand times. When the weather allows he does two trips a day. 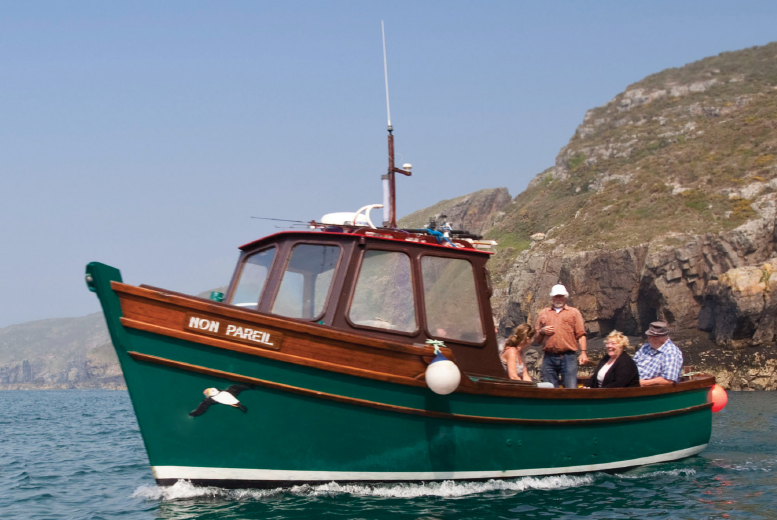 For regular visitors to Sark ‘going around with George’ is an intrinsic part of holidaying on the island. 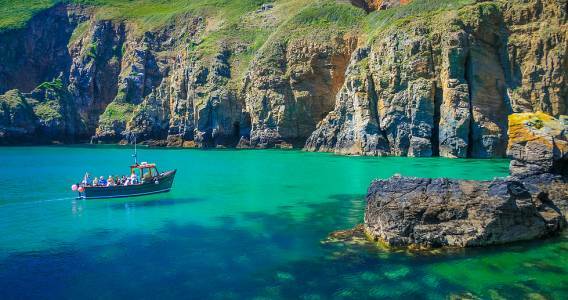 For first time visitors, this charming and gentle voyage is essential. Not only can you spend the rest of your stay trying to rediscover the myriad of secret swimming and bathing spots that George reveals but the circumnavigation offers an intriguing glimpse into the soul of the island itself. The salty cocktail of craggy cliffs and swirling blue-green sea accompanied by the piping call of oyster-catchers and George’s tales of island life can only leave you wanting more. It is a good idea if you plan to do the trip, to plan to do it earlier in your holiday as George sometimes had to postpone a trip if the weather is not good.